Sartheles Psites (In Greek: σαρδέλες ριγανάτες, pronounced sar-THEH-les ree-ghah-NAH-tes) is a favorite dish all over Greece and happens to be an easy one to make. The recipe calls for fresh sardines, garlic, oregano, lemon juice, olive oil, salt, and pepper. The hardest part of this recipe may be finding fresh sardines—unfortunately, canned just won't taste the same. And once you score some fresh sardines, you need to eat them the same day—they don't freeze well and will rot quickly. 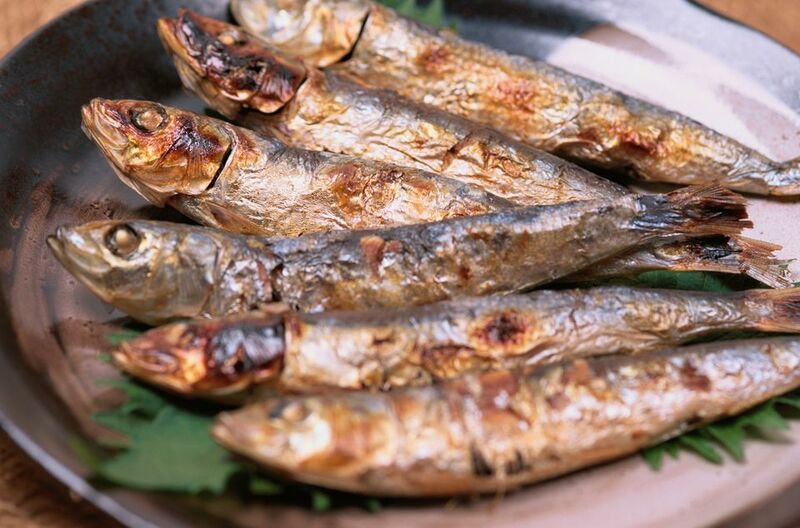 Greece has the second largest coastline in Europe, so, naturally, an important part of their cuisine is fish—and sardines are a popular variety. Sardines are pulled from the sea, prepared with fresh but minimal ingredients, and then served as an appetizer or light entree. Using Greek oregano makes this recipe truly authentic. Serve when having friends over on a warm summer night— sartheles psites will please even the sardine-skeptics and impress your guests. Preheat oven to 355 F/180 C.
Remove scales and intestines from the sardines, leaving heads intact. Lay sardines in a baking pan and top with all remaining ingredients, using salt, pepper, and oregano to taste (don't skimp), sprinkling evenly. Bake for about 45 minutes until fish are golden and skin is crispy.